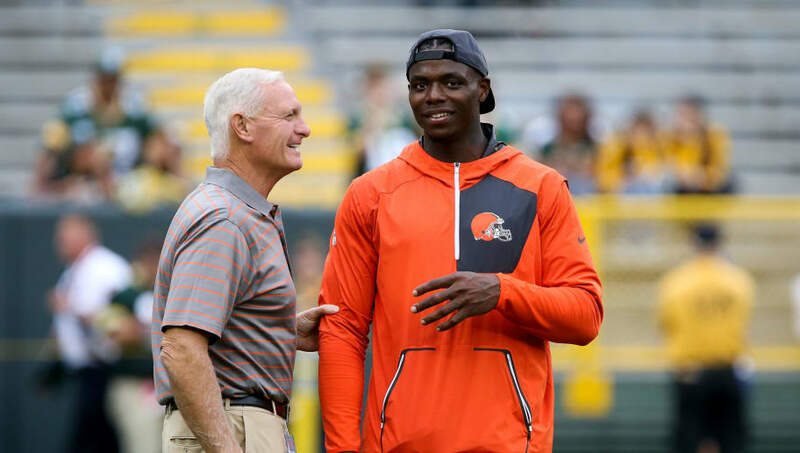 ​Just because things didn't work out between Josh Gordon and the Browns in Cleveland, that doesn't mean he can't find success elsewhere? Well, it looks like five teams are willing to find out the answer. On Saturday, the Browns announced they'll be ​cutting Gordon on Monday. However, we may not even get there. Per Ian Rapoport, multiple teams have already reached out to try and work a deal for the star receiver. The #Browns announced they are releasing Josh Gordon, but they may not get there. I’m told as many as five teams are researching possibly trading for Gordon. Cleveland has a market. The fact that the Browns are receiving interest shouldn't come as a huge surprise. We've seen teams give second chances to countless players with a troubled history. Gordon's issues have all been substance abuse related. ​If he can stay clean, he can make a MONSTER difference for an offense. If he stays clean is a big if, though. Which jersey will Gordon don next? We could find out by the end of the weekend.